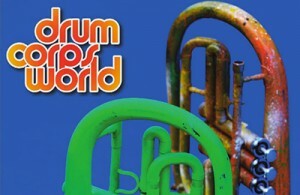 Drum Corps World is now a FREE electronic magazine, available by signing up at www.drumcorpsworld.com. Click on the cover of the latest issue below the masthead. The next page will give you an opportunity to register your e-mail address and, in the pulldown menu, what country you live in. Hit “submit” and on the next screen you can choose to view it on your computer or on a mobile device like a tablet—and on the far right is a pulldown menu where you can view any issue from May 2011 to the present. Each issue will generate a notification e-mail. At the top of the e-mail is a button to take you directly to the latest issue. There are many products advertised in the “store” relating to performances of the Sky Ryders on CD between 1959 and 1980. Sky Ryders alumni Steve Vickers has owned the publication since 1974 and, during that time, has produced six books on the history of the drum and bugle corps activity as well as releasing many historic CDs and DVDs. I was a member of the 27 Lancers for 3 days ( couldn’t get a C.Y.O. release) and a member of the Bayou City Blues in Houston for ten years .Is there any active or semi active drum corps organization that my son in Dallas could join? I was a member of the 27 Lancers for 3days (couldn’t get a C.Y.O. release)and a member of the Bayou City Blues in Houston for ten years. Is there any active or semi active drum corps organization that my son in Dallas could join? Hi, Eric… nice to meet you! I can’t think of an active drum corps in the Dallas area, however, if your son plays percussion, he might want to check out Vigilantes Indoor Percussion. They’re based in the mid-cities area of Dallas/Ft. Worth. The other Texas corps that I know of are: Crossmen (San Antonio), Genesis (Austin), Guardians (Houston), and Horizon (Midland/Odessa). Hopefully I’m not missing anyone.